Welcome to the new Blumenhotel Belsoggiorno in Malosco, gourmet cuisine and wellness in the Val di Non. The ideal destination for those who dream of a peaceful and relaxing holiday surrounded by nature in Trentino. The hotel, offering gourmet cuisine and wellness in the Val di Non, is for those who love to have new experiences, cultivate their passions and meet new people: throughout the year, we organise many courses including painting, photography, drawing with a tablet, comic strips, golf at the Dolomiti Golf Club… and much more! Blumenhotel Belsoggiorno hotel in Val di Non is run by the Martini family. 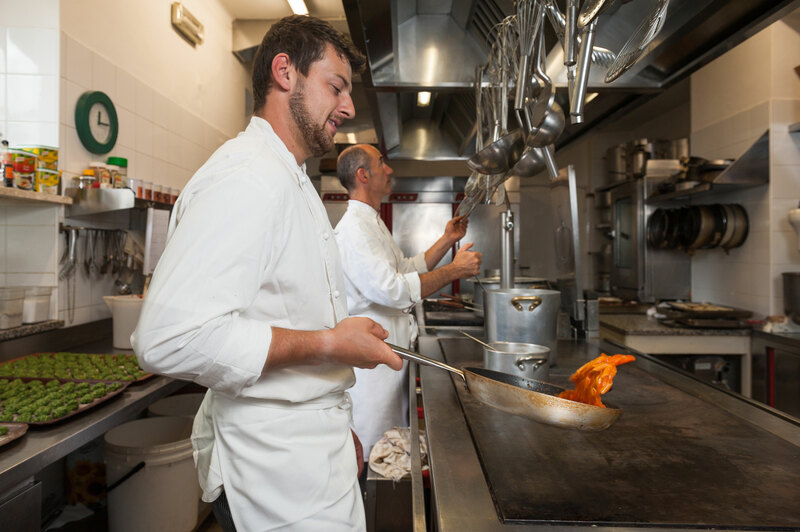 Each member of the family plays an active role in running the business with the aim being to offer their guests only the very best, and to take care of every possible detail whilst they holiday in Trentino. Fabio is the father and the soul of Blumenhotel. He will be your point of reference at any time during your holiday and always be there with sage advice on the most beautiful itineraries in Val di Non. 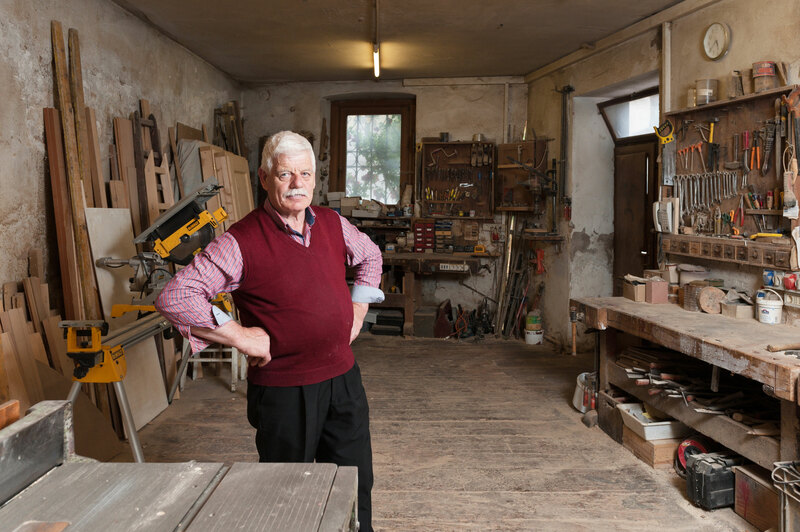 He will gladly acquaint you with the Trentino traditions and the magic of carving wood in his workshop in Malosco. 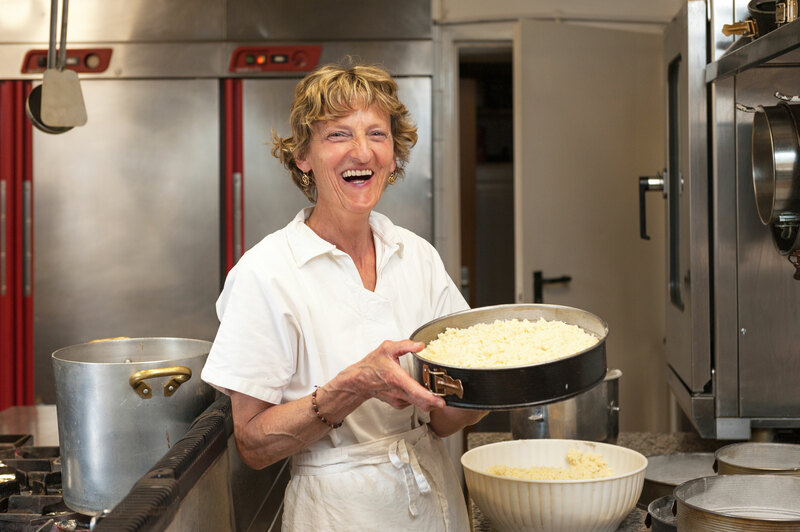 Mamma Maria Rosa will spoil you with the best „Nonese“ recipes and will teach you how to prepare the inimitable Apple strudel or her special coconut cake. She will accompany you on magnificent excursions to aid you in discovering our local territory. Federico will enable you taste the typical recipes of Trentino-South Tyrol and the specialties of Val di Non with its characteristic dishes, he also provides a gluten-free menu thought through specifically for those guests with gluten or other food intolerances. Laura and Miriam will take care of your every wish throughout the entire holiday, from the moment you book and of course throughout your stay. They will be there to ensure that your holiday is pleasant and unforgettable. Blumenhotel Belsoggiorno is also known as a biker-hotel in Trentino, so of key consideration to all those who like their holiday on two wheels. The motor hotel in Val di Non offers many planned itineraries and tours for motorcyclists, selected and tested by the Marini family themselves. That is not all: the hotel offers a great variety of services to satisfy your every need so to grant you a unique and comfortable motorbike holiday in Trentino.